A design system of possibilities that allow you to create infinite combinations of color, opacity, scale, and more. 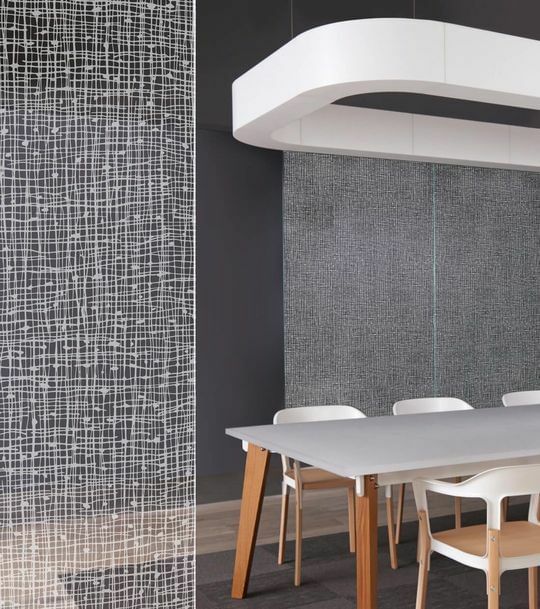 Our vast collection of Graphic Patterns are available in two applications: Color or Etch. Once you've picked your pattern, you customize the scale. With color applications, you can also choose an opacity. This collection of patterns pushes the simplicity of a closed oval to dazzling heights in order to open the door on a world of design potential. We started with the thought that there are few things more pleasing than a well-executed contour. This collection pushes that idea across the finish line. We explored the beauty of the world around us to put this collection of patterns together. Bring them to life with your design choices. Geek out on the visual mathematics of this spacial yet structural collection of patterns. Any one of them will look out of this world in your design. Create stunning gradations of color with this collection. With full-panel, partial, and band fade options, the possibilities are endless.